An impacted tooth is essentially one that does not fully erupt to its proper position, remaining “stuck” within the gums and jaw bone. Although any tooth in the mouth has the potential of becoming impacted, most of the time it’s the last teeth to erupt in the mouth, the third molars or wisdom teeth that become impacted. This occurs generally because of limited amount of space that is available for their eruption. Often a painful situation, impacted teeth are commonly associated with several troubling symptoms. Bad breath, bad taste when biting down near the affected area, trouble opening the mouth, painful gums and swelling generally due to infection, decay, food getting trapped between the teeth, unwanted movement or displacement of other teeth in the mouth, damage to other teeth including those that have already erupted, formation of cysts. Wisdom teeth, also known as third molars, develop during early adulthood typically between the ages of 14 to 20. They are called “wisdom teeth” because they normally erupt around the time one is 18 years of age, thus the age at which one becomes wiser or of wisdom. While posing no threat to some patients, most mouths are too small and do not develop enough space to support and allow for these teeth to come in uninterrupted. In these cases, this will cause a wisdom tooth to become impacted. Having the potential to develop into more serious problems down the line, extraction often becomes the only good option at this point. Soft tissue impaction develops when the tooth has erupted out of the jaw bone but has failed to erupt completely through the gum line. Mesioangular impaction, the most common form, is when the tooth is angled forward, towards the front of the mouth. Distoangular impaction is when the tooth is angled backward, towards the rear of the mouth. Horizontal impaction, the least common form, which occurs when the tooth is angled fully 90 degrees sideways, growing into the roots of the second molar. Vertical impaction occurs when the formed tooth does not erupt fully through the gum line. Each type of wisdom tooth impaction causes its own problems but all of these can be rectified with oral surgery. While the procedure often carries a lot of negative connotations by many people, film and television, rest assured that removal of wisdom teeth, and any other tooth for that matter, is actually relatively much simpler than thought to be, and recovery is often far more tolerable than a patient might expect. All these can be performed under local, sedation or general anesthesia. Depending on the type of impaction, quantity of type or degree of impaction, many people elect to have all wisdom teeth removed in one visit and under either sedation of general anesthesia (see Anesthesia Section – Our Services.) 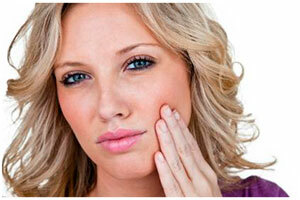 A wisdom tooth extraction first involves opening the gum tissue and removing any bone that covers the tooth. The tooth is then generally cut into several pieces along with the removal of any connecting tissue which is separated so that the entire tooth can be removed. Care has to taken to ensure that any of the other teeth in the surrounding vicinity are not damaged, and in the bottom jaw (mandible) a nerve generally runs in close proximity to the roots of most wisdom teeth and special care has to be taken to minimize any potential of damage to it. The area is then securely, sutured closed and a pressure is placed with gauze to control bleeding. Wisdom teeth are quite tolerable if proper postoperative care is taken to minimize swelling, improve quick recovery and avoid complications. Generally, painkillers are prescribed to keep patients comfortable throughout the first few days of recovery as well as an antibiotics and anti-inflammatory medication. Ice placement on the face and cheeks for several days as well as a soft diet and liquids for the first few days is advised. Directions on what to do for maintaining proper oral hygiene to avoid problems with infection, bleeding and other complications are given well in advanced to help prepare the patient in understanding what he/she will be experiencing. Recovery for most cases is generally completed in about one (1) week after the procedure.